This small switching power supply delivers a regulated 9VDC @ up to 1000mA from any standard wall outlet. 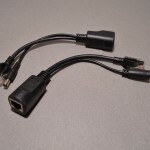 The cable is approximately 5' long and has a 5.5mm x 2.1mm barrel jack. 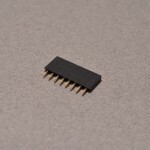 Perfect for an Arduino, Boarduino, or anything with its own 5VDC Regulator! SKU: POW-006. Categories: Accessories, Power Supplies. Tags: 1A, 9V, Adafruit, Power Supply.